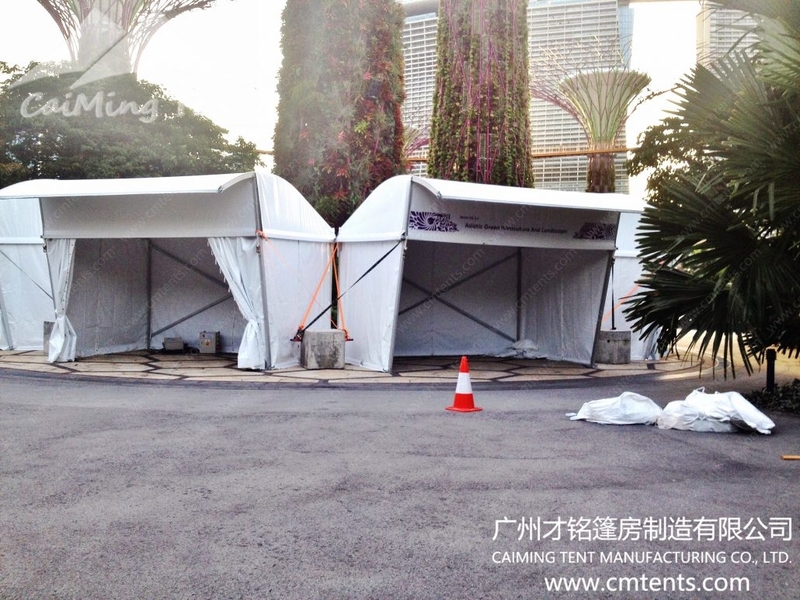 Half Dome Tent includes HDT4x3m and HDT4x5m. 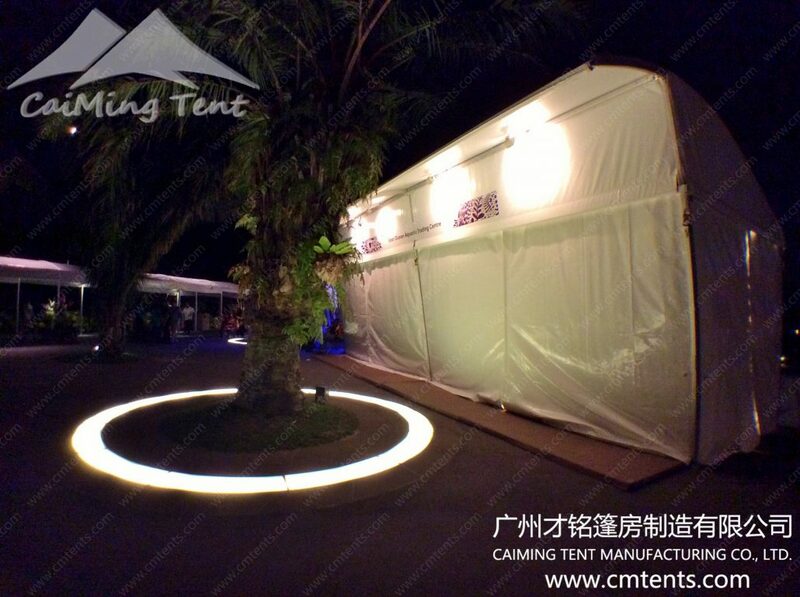 The clear span of HDT4x3m is 4m, 2.6m eave height and ridge height is 3.84m, 3m bay and main profile is 100x48x3mm. The clear span of HDT4x5m is 4m, 2.6m and 3.84m are eave height and ridge height respectively. 5m bay and main profile is 100x48x3mm. High reinforced aluminum alloy 6061/T6( hardness 13HW) is used for frame, fire retardant double-side PVC synthetic fabric（650-850g/m2） which is in accordance to Germany DIN4102 B1, M2 fire retardant standard. 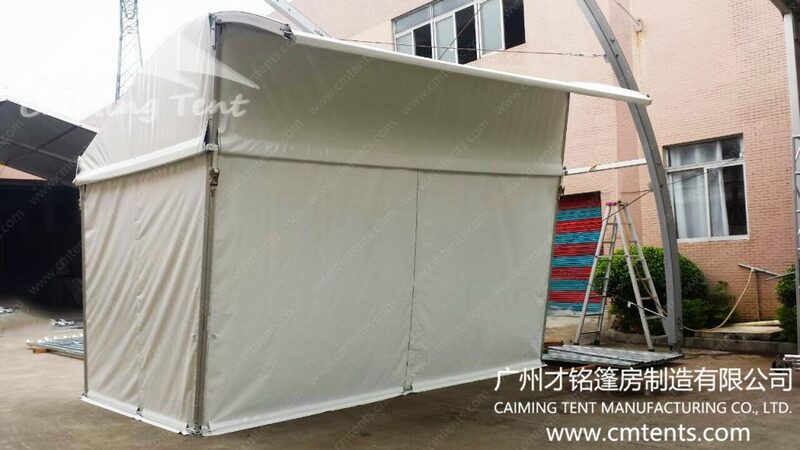 80KM/H (0.3KN/m2) wind resistance can make sure the stability and safety of the structure. Its lineal length can be increased and decreased by 5m bay. 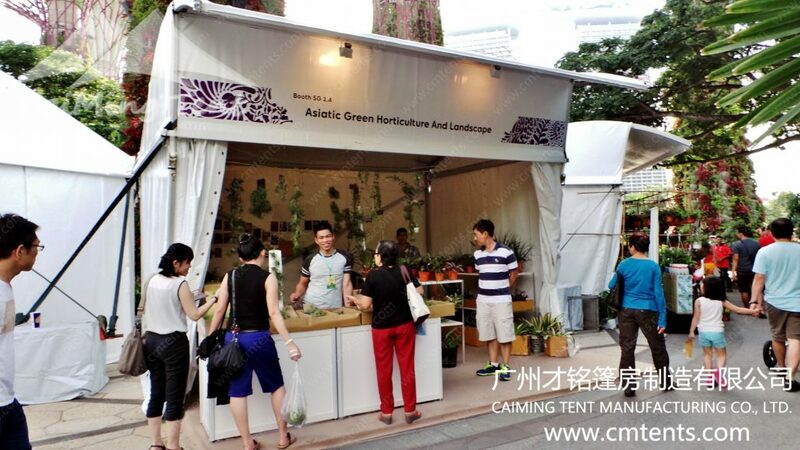 Half Dome Tent is an unique design that with special shape, whose infill panel above door are quite suitable for advertizing. It’s easily to be installed and dismantled, and also portable and durable. Wind loading and fire retardancy capacity are at the same level of European standard.